Weird experiment: Showing green fields to Cows on TVs to make them happy!!! 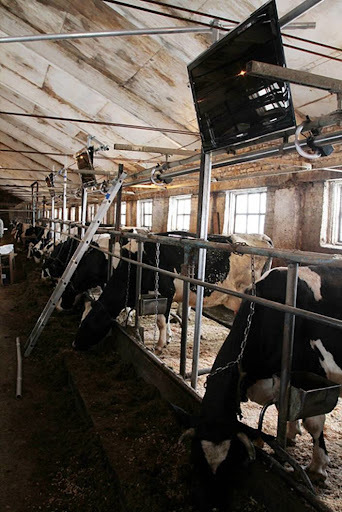 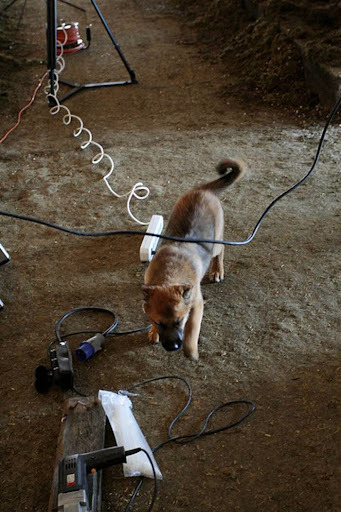 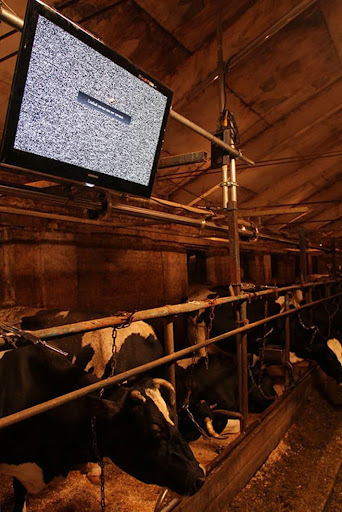 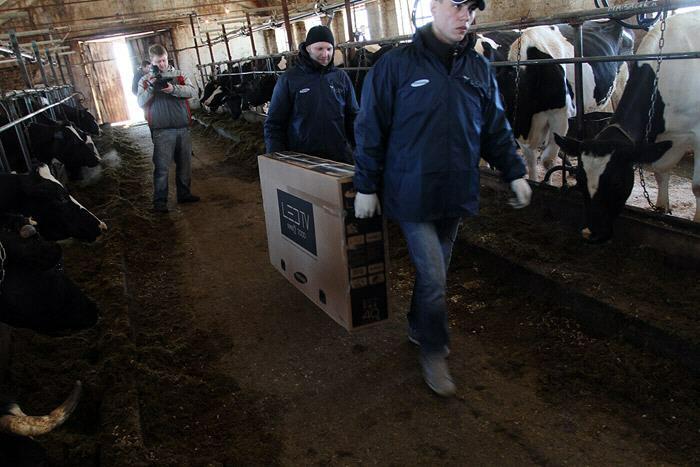 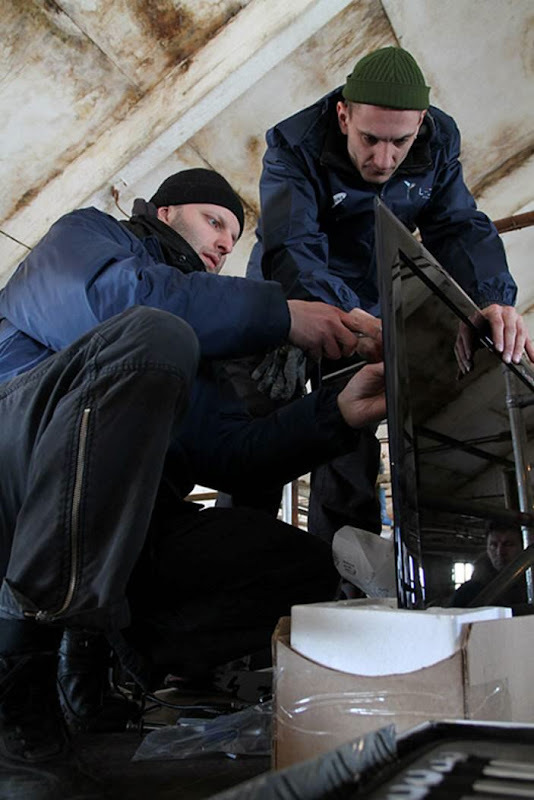 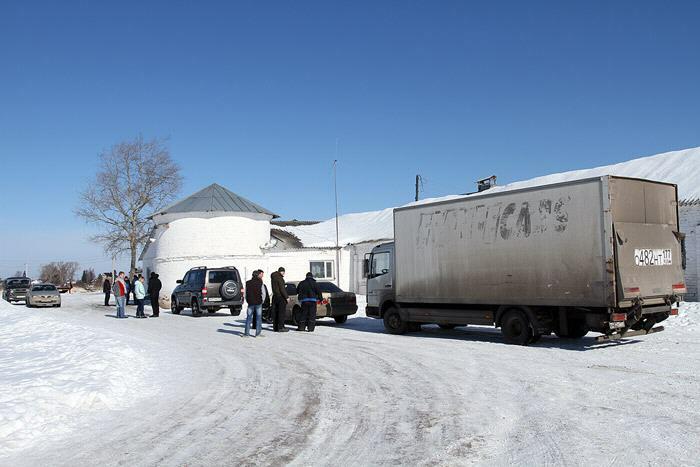 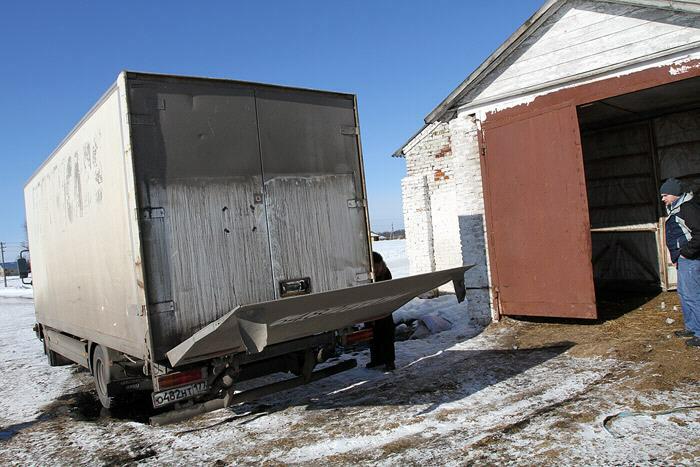 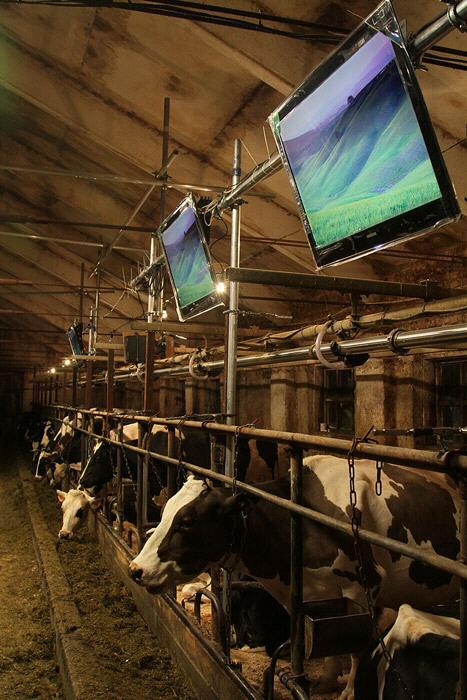 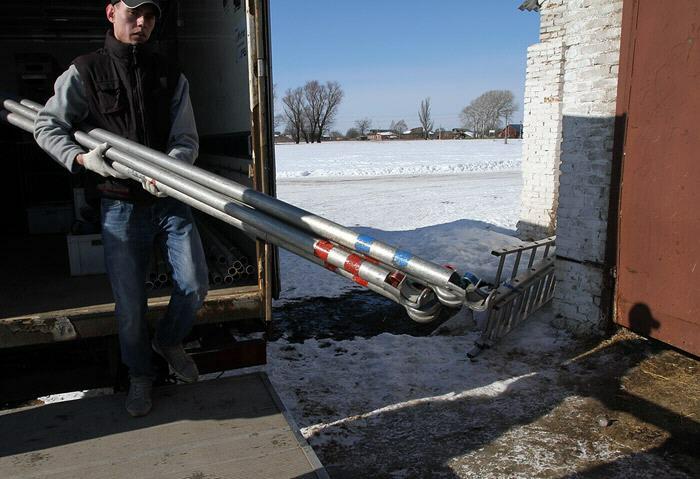 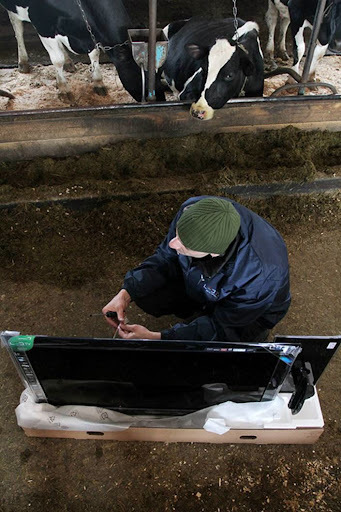 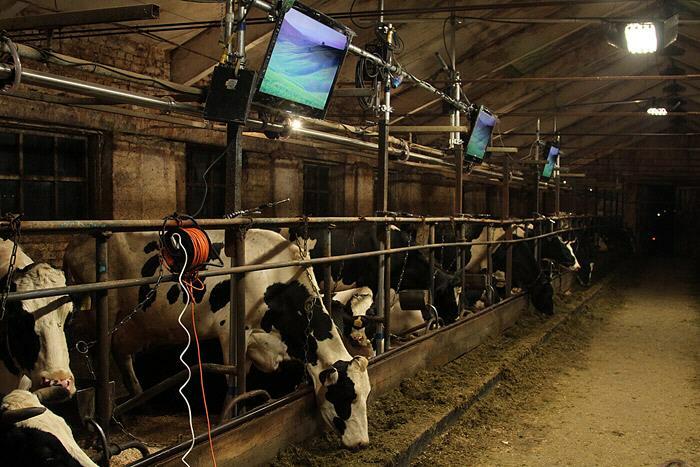 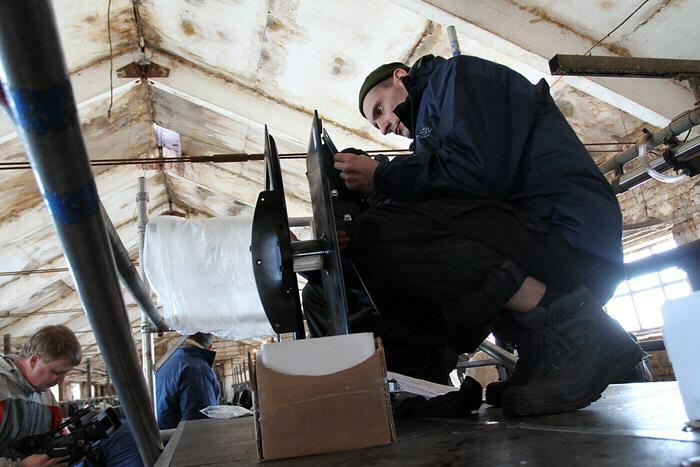 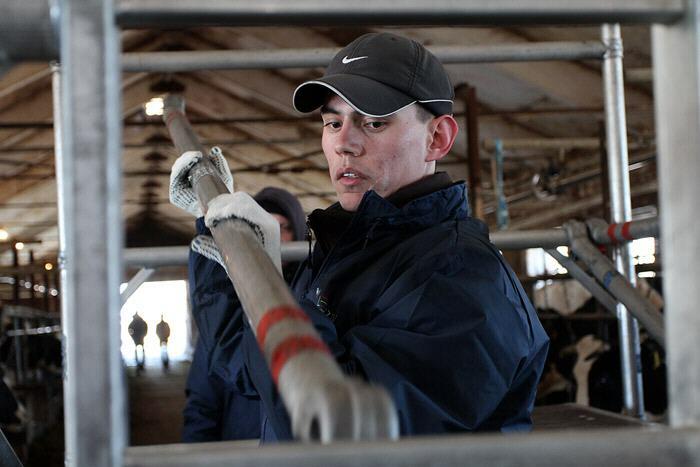 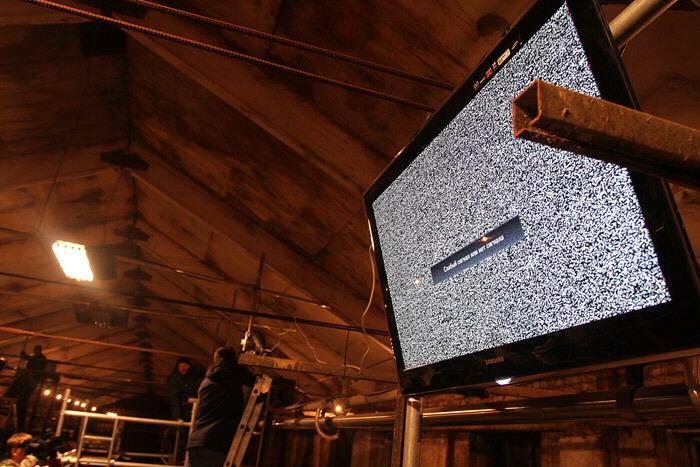 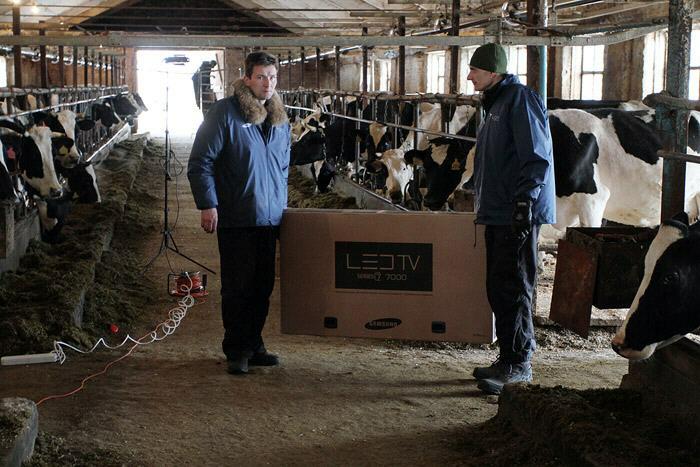 One Russian farmer decided to equip his cow barn with… LED TVs. 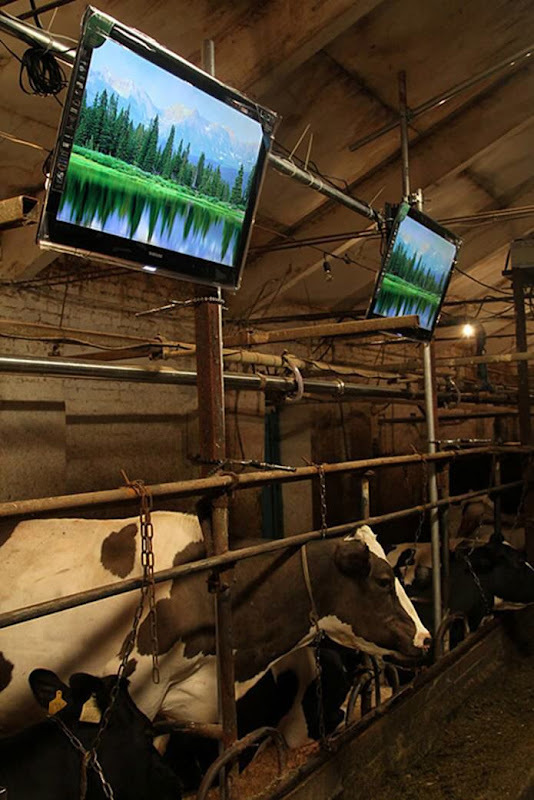 He has got from somewhere the information that cows get more happy and productive if they watch the movies with the juicy green fields. 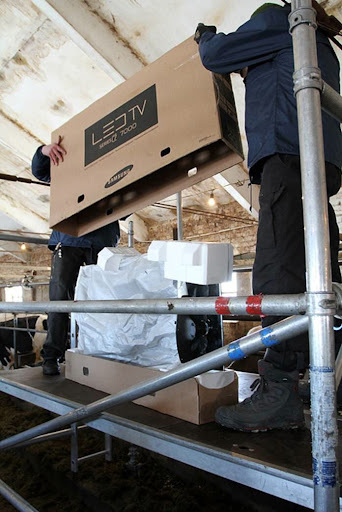 Alpine fields and got the most slim lcd tvs on market in Russia and then called the team of workers to install that all. 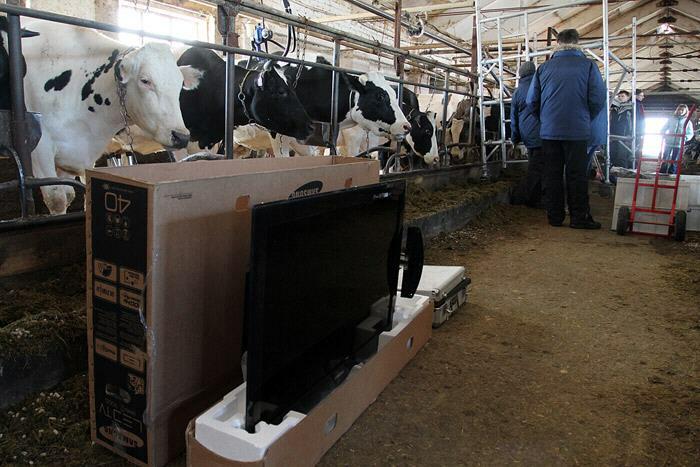 one is watching tv another is deprived of this humanity most spread entertainment thing. 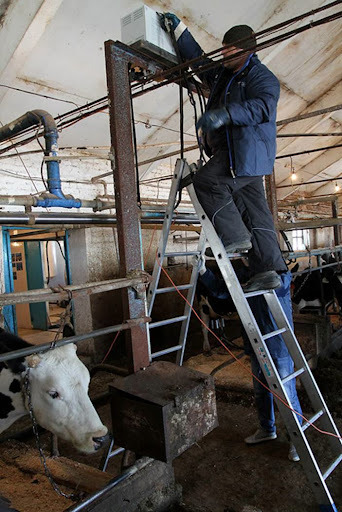 so now the old funny story that people are actually slaves for the cows can look even more credible.